Preciosa Czech glass seed bead, size 11/0 White Opaque glass approximately 2mm Czech glass rocaille bead. Chalk White, a bold strong white glass bead, that is the equal opposite to Jet, with which it contrasts exceptionally well. 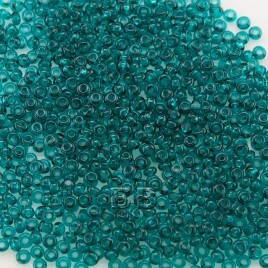 A fine quality, uniformly shaped glass seed bead. Perfect for all types of beadwork and all abilities.